The IL&FS bond toxicity contagion is spreading rapidly. The virus has now spread to a rather large body of savers, in this case insured, which coming as it does just before the general election is not good news for the government. With a concerned Trinamool Congress top gun and West Bengal Chief Minister Mamata Banerjee and Communist Party of India-Marxist (CPI-M) leader Brinda Karat both expressing their displeasure over the exposure of 1.5 million salaried employees to these highly toxic bonds in IL&FS, the emergence of Postal Life Insurance (PLI) policyholders being exposed to the same bonds directly will lead to soul searching by the government. It is imperative for the government to take congnisance of this terminal decline in these bonds and to look at an immediate corrective strategy to arrest the growing panic. What is worrisome is that at the end of 2016-17, 213,323 new policies were added to the PLI policy holders' list with a sum assured of Rs 11,096.67 crore. For the total number of 4.68 million policies at the end of the FY 2016-17, the aggregate sum of Rs 1,13,084.31 crore was involved which is humongous by itself. The fund balance at the end of FY 2016-17 was Rs 55,058.61 crore while premium income for that year was Rs 7233.89 crore. Given that this is life insurance business, its exposure to the toxic bonds is direct, unlike salaried employees of private and PSU companies which is indirect through EPFO and Pension Funds. Top of the line private and public sector companies as exposed by IANS are part of this myriad list. The ever burgeoning community of salaried employees is concerned about its money deposited with the Employees Provident Fund Organisation (EPFO). At the cutting edge of the ever burgeoning IL&FS crisis, these employees are exposed to toxic investments. Most of these Employee Provident Funds and Employee Pension Funds have already stated that the IL&FS resolution plan must provide repayment before secured creditors as the resolution framework proposed by the company doesn't provide for any payment to secured creditors. PLI is the oldest insurance company in India which was formed on February 1, 1884, under British India. The insurance company was initially set up for the welfare of postal employees. Their plans are exclusive to public sector employees. As far back as 1894, it became the first insurance company to cover female employees of the P&T Department. It is enormously popular because it is the only insurer in the Indian Life Insurance market today which gives the highest return (bonus) with the lowest premium charged for any product in the market. PLI has grown substantially from a few hundred policies in 1884 to more than 4.6 million policies as of March 31, 2017. It now covers employees of Central and State Governments, Central and State Public Sector Undertakings, Universities, Government aided educational institutions, nationalised banks, local bodies, autonomous bodies, joint ventures having a minimum of 10 per cent government/PSU stake, credit cooperative societies etc. PLI also extends the facility of insurance to the officers and staff of the defence services and paramilitary forces. Apart from single insurance policies, PLI also manages a Group Insurance scheme for the Extra Departmental Employees (Gramin Dak Sevaks) of the Department of Posts. PLI is an exempted insurer under Section 118 (c) of the Insurance Act of 1938. It is also exempted under Section 44 (d) of LIC Act, 1956. If one adds a vast number of 4.68 million policies which are now exposed to this new bug, then the number of salaried and other types of government employees rises to close to 6.1 million. The company enjoys a vast network spread across the country with around 1,55,669 branches making it India's largest and also the most trusted retail and financial services provider. When contacted on the new expose, IL&FS declined to comment. The types of policies vary and are essentially five in number -- Whole Life Assurance (Suraksha), Endowment Assurance (Santosh), Convertible Whole Life Assurance (Suvidha), Anticipated Endowment Assurance (Sumangal), Joint Life Assurance (Yugal Suraksha) and Children Policy (Bal Jeevan Bima). 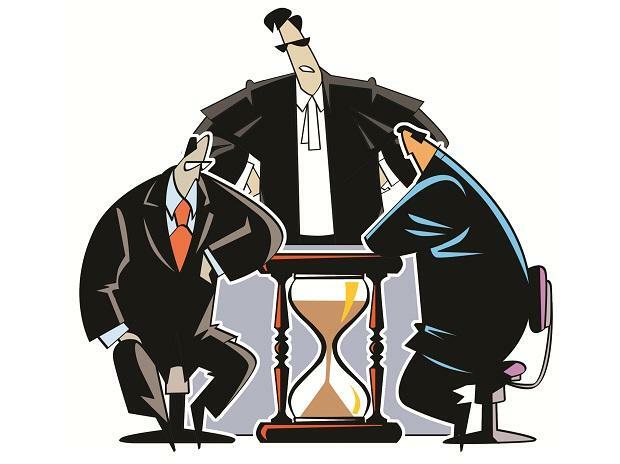 Some of the affected entities have filed an intervening petition with the tribunal (NCLAT), thereby impleading themselves in this gargantuan case on how to run a corporate into the ground, include Apco Infratech, Apco, Titan, Asian Paints PF, Asian Paints Management Cadre Superannuation scheme, Aditya Birla Sun Life MF, Thomas Cook PF, Titan Watches, Hindustan Unilever (HUL), M & M PF, Himami, Bajaj Finance, Hindalco EPF, Max Financial Services PF Trust, IDBI Trusteeship Services Ltd, IndusInd Bank, Hudco Employees CPF, MMTC CPF, 63 Moons, Nayara Energy EPF, Indian Oil Corp, ITPO, CIDCO, SBI PF, GUVNL PF, Ambuja Cement, HDFC AMC, IREDA among others. The employee provident funds of various companies and other entities had invested in IL&FS bonds and bondholders are unsecured and may or may not get paid in the ongoing crisis at IL&FS. In any case, they are seen pretty much last on the priority list.